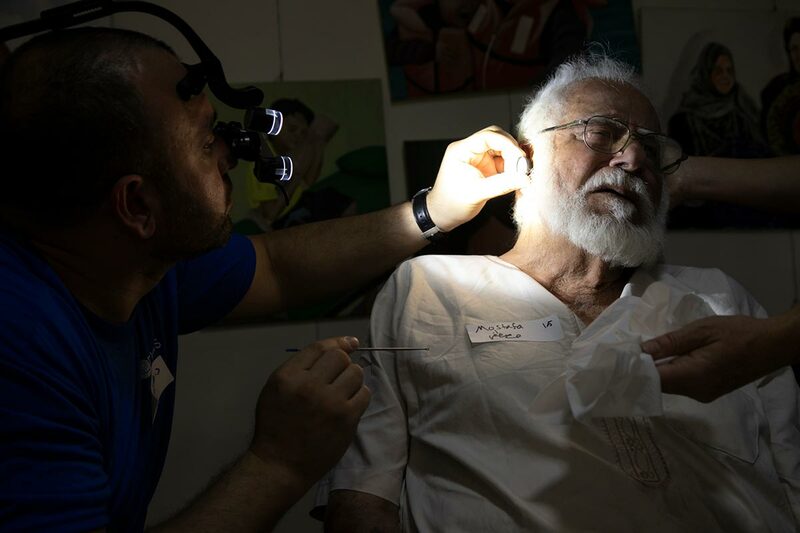 Alalusi Foundation volunteers began arriving to Amman, Jordan on September 27th, coming in from various countries in support of a four day audiology mission conducted by Entheos. 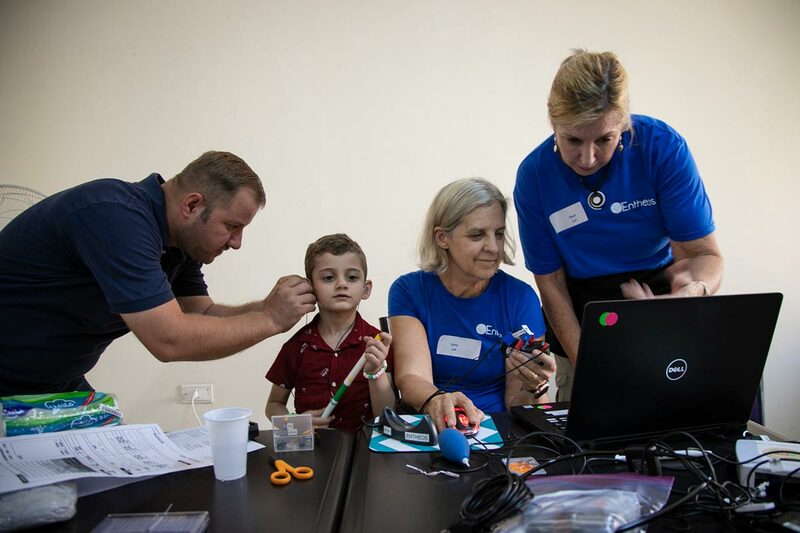 This audiology cooperative conducts humanitarian trips around the world. Due to your generous support, the Alalusi Foundation has supported the work of Entheos in Jordan multiple times. On this trip, we are using the facilities of another excellent humanitarian organization, those of Souriyat Across Borders. Calls went out into known communities where hearing loss is a significant problem and word of mouth spread the notice. On the first two days, Entheos treated approximately 80 children. Some of those came having never had hearing aids. Others reported that their previous aids were broken or lost. Thorough checkup and testing was done with each patient ears and hearing and, if deemed necessary, model casts molded of their ears into which hearing aids are installed. That moment when each person is given back the ability to hear is always a wonderful one, especially in instances when a child hears the voice of their loved one for the first time.